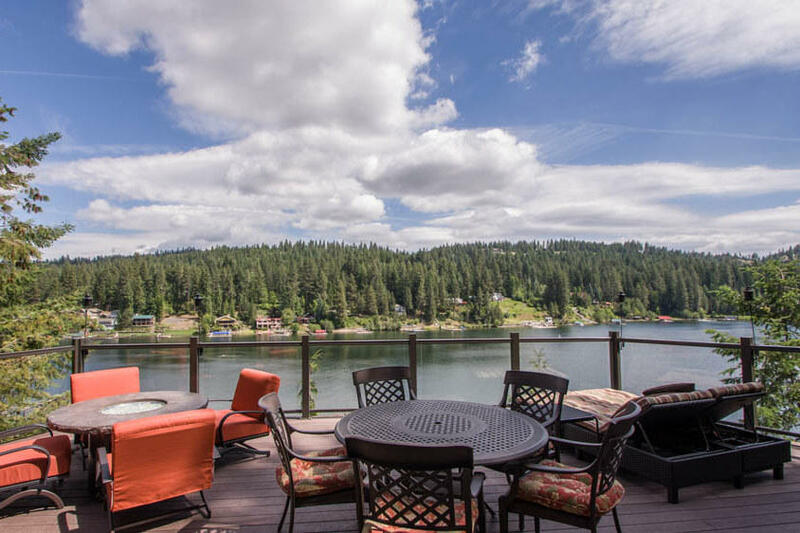 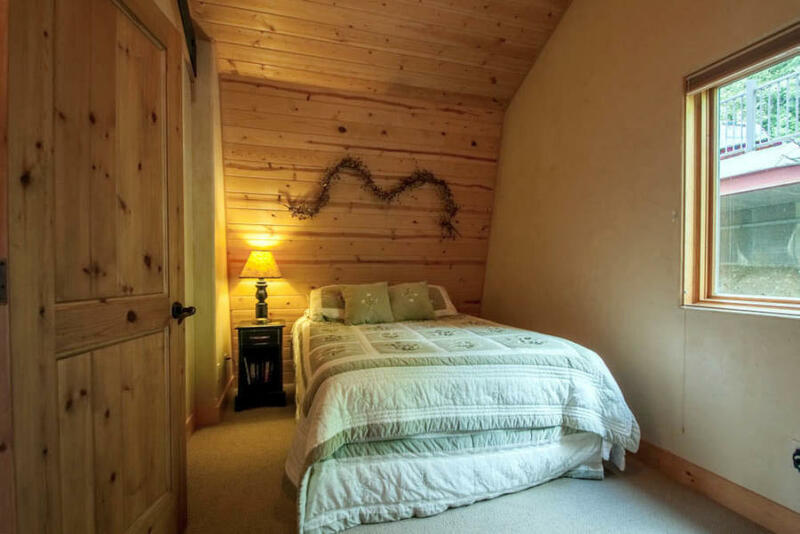 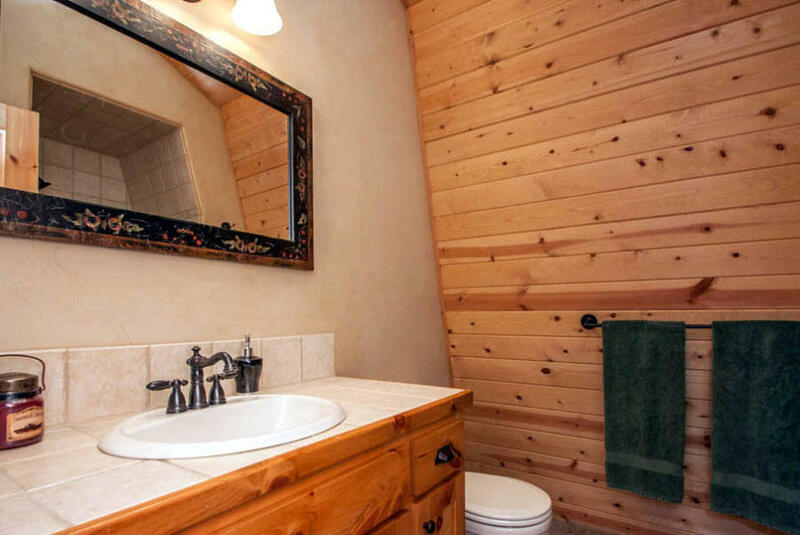 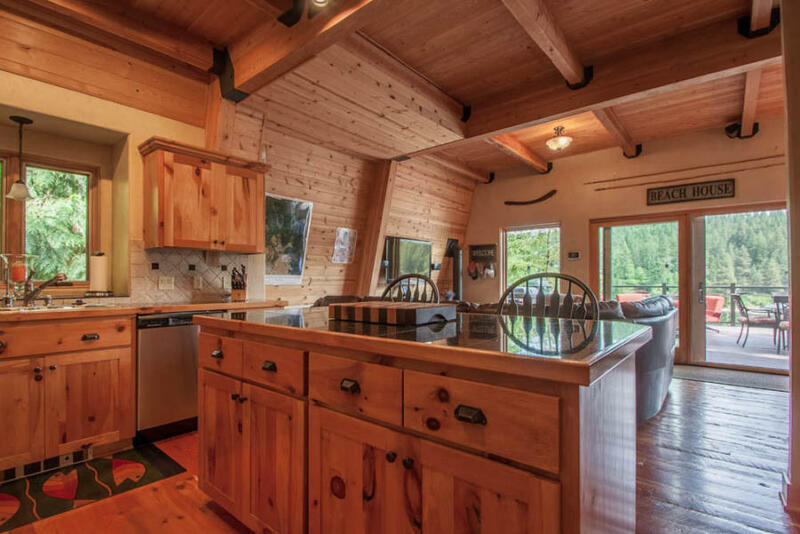 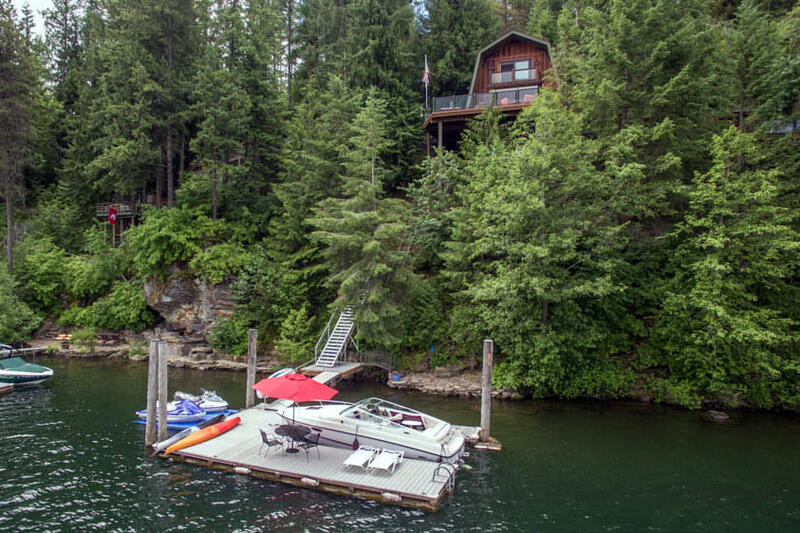 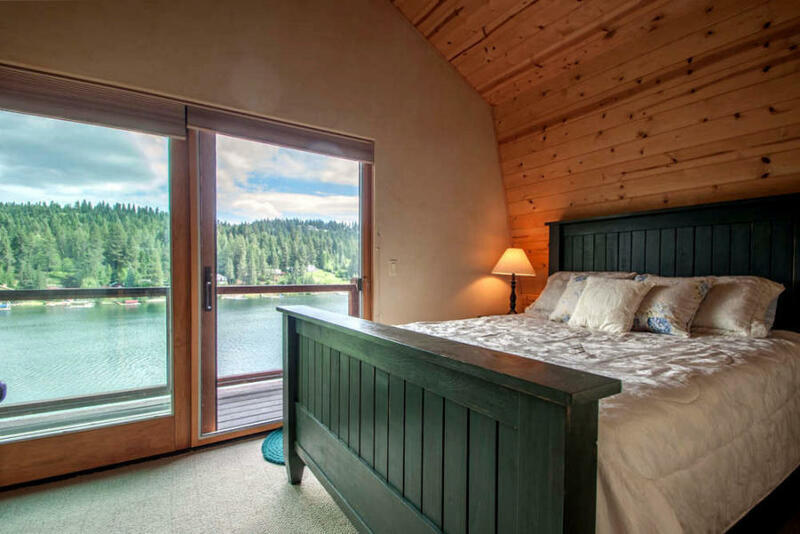 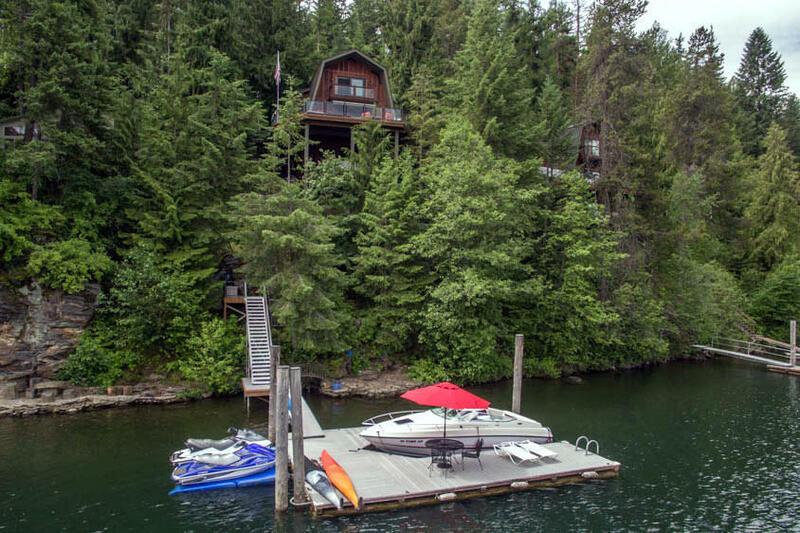 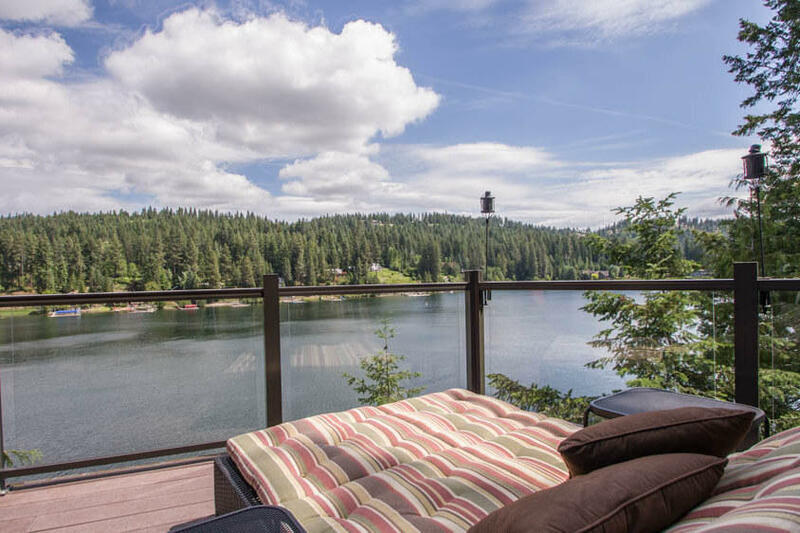 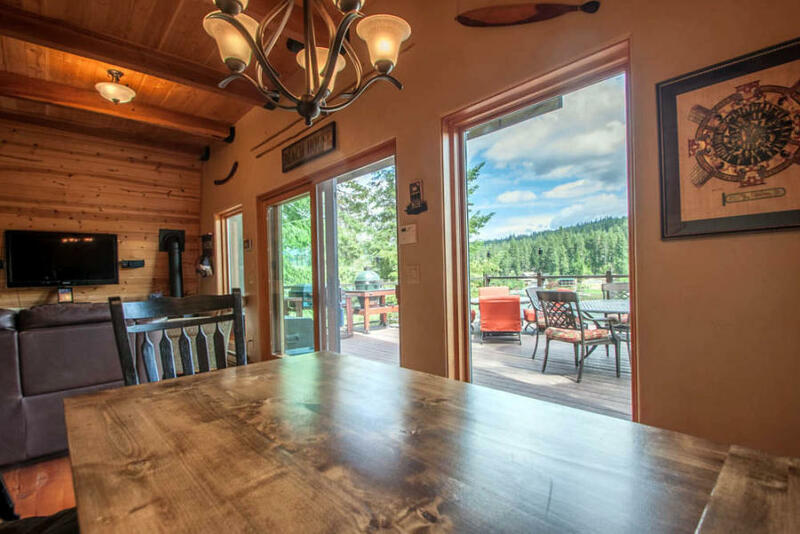 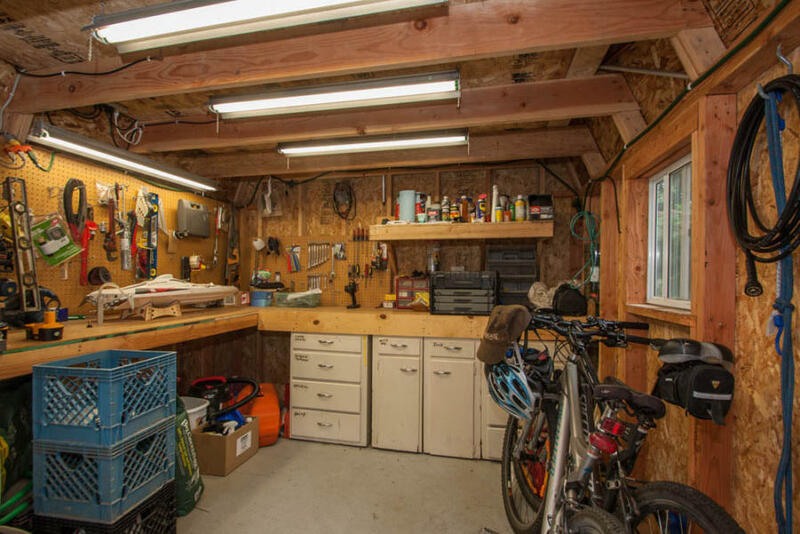 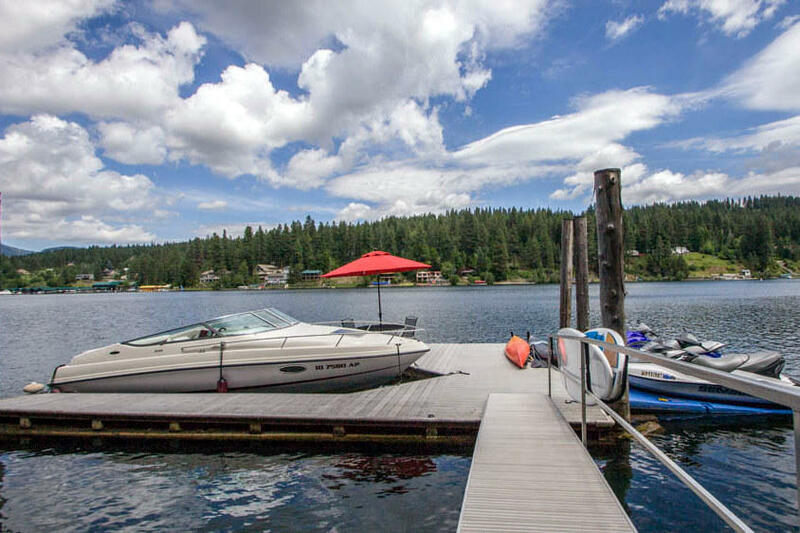 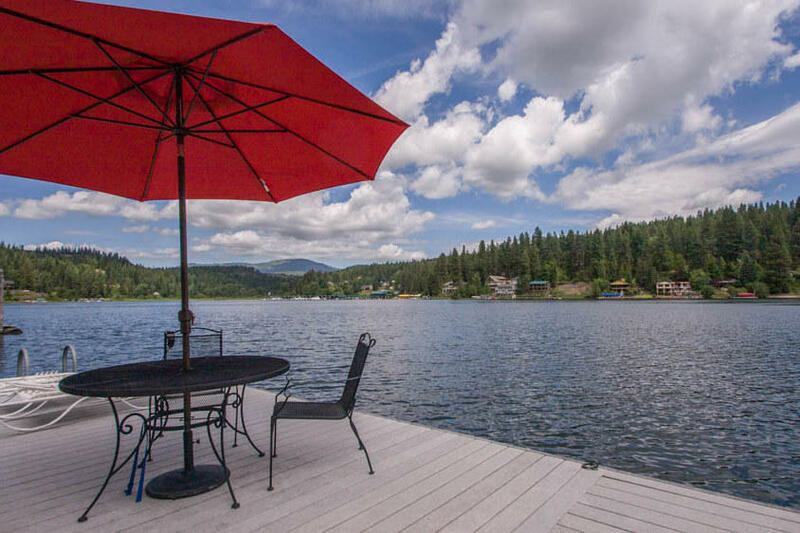 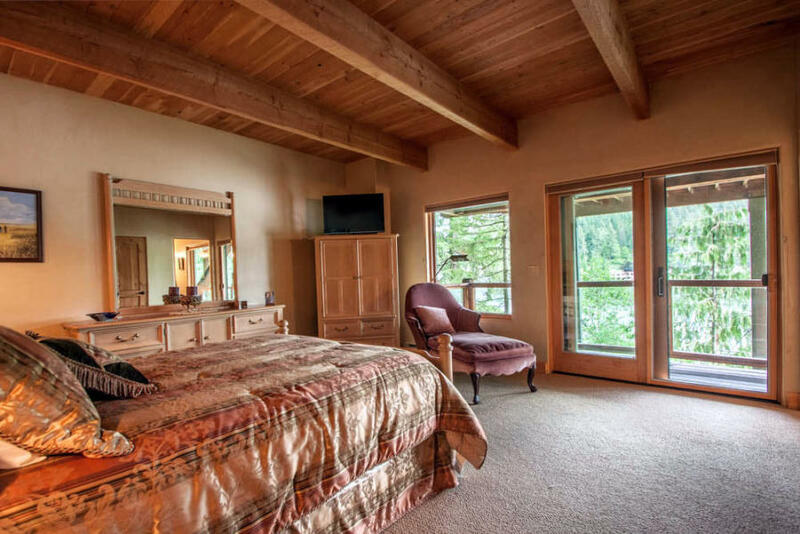 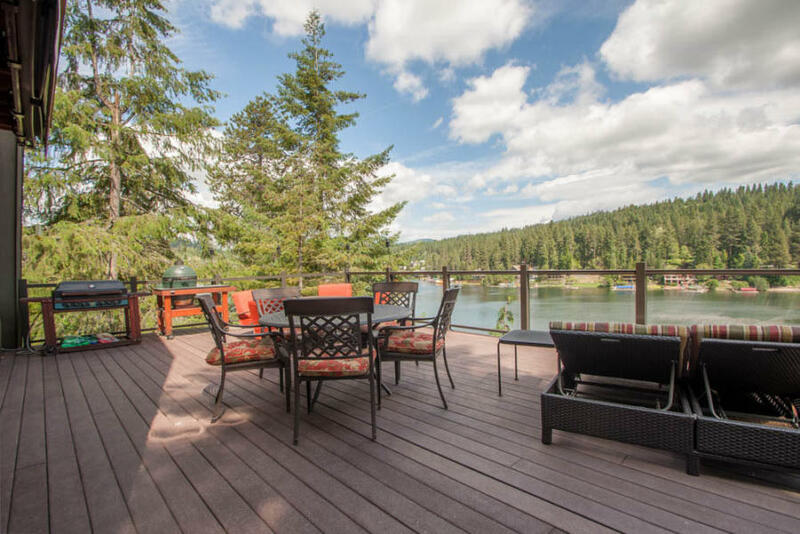 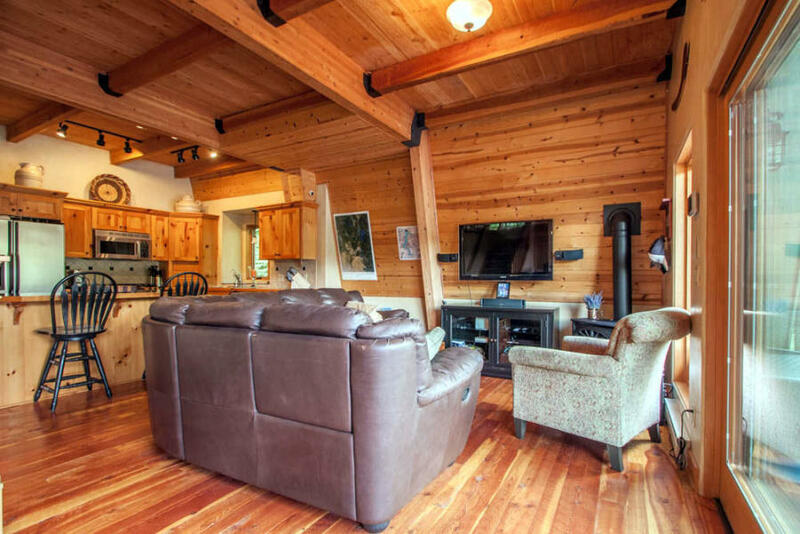 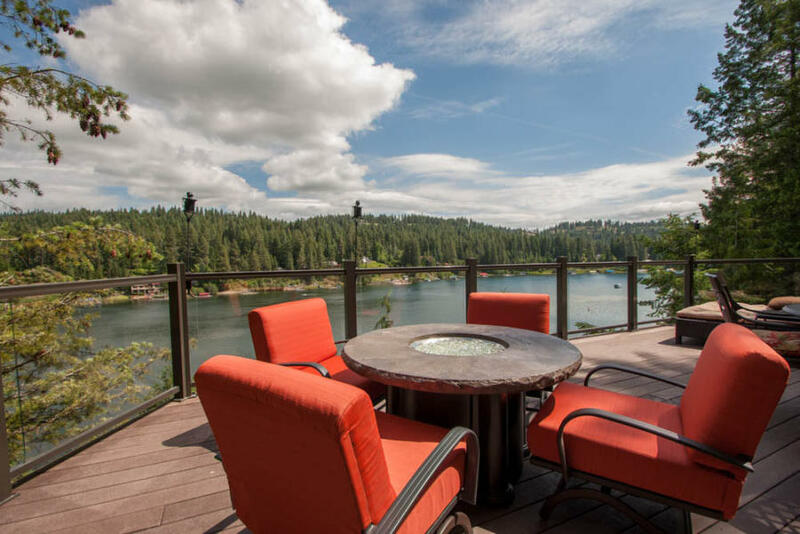 Start enjoying your summers in this cedar cabin located in Rockford Bay on Lake Coeur d’Alene with 75′ of deep water frontage and a large dock. 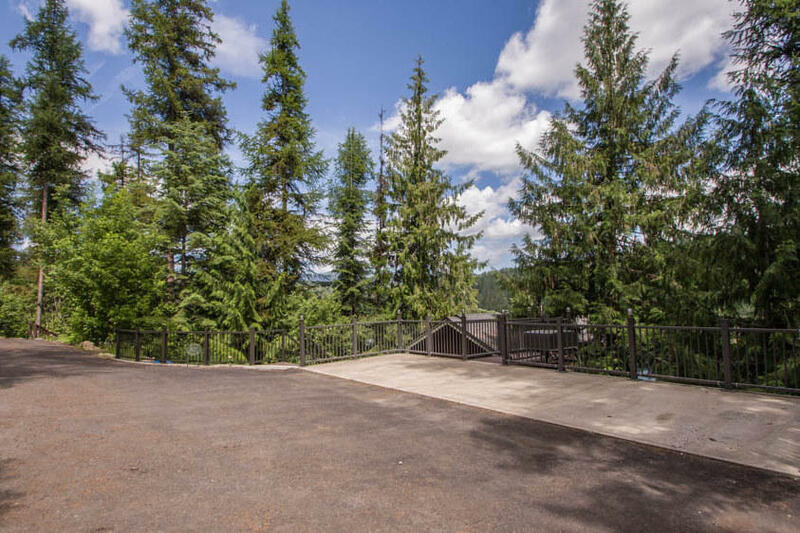 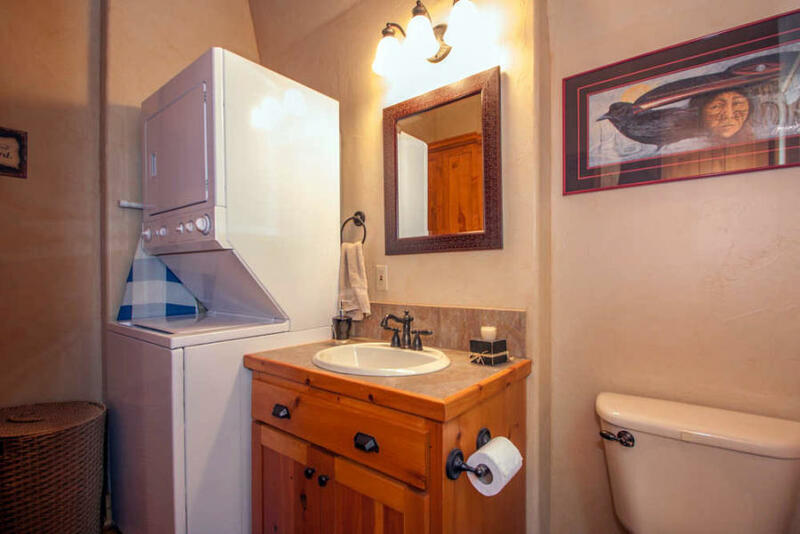 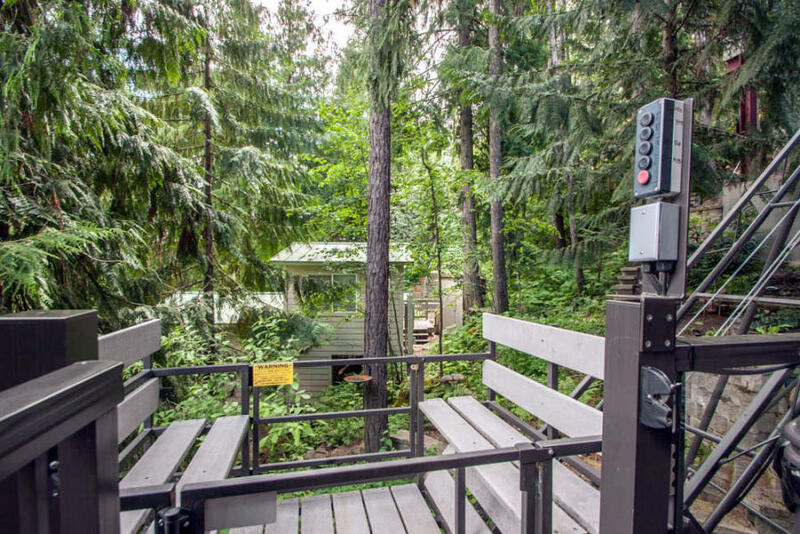 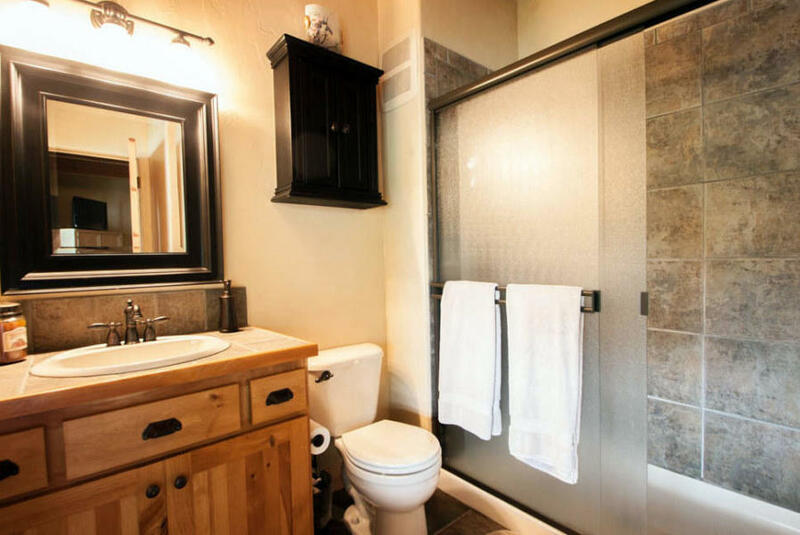 Large engineered parking pad with a tram to the spacious decks and water. 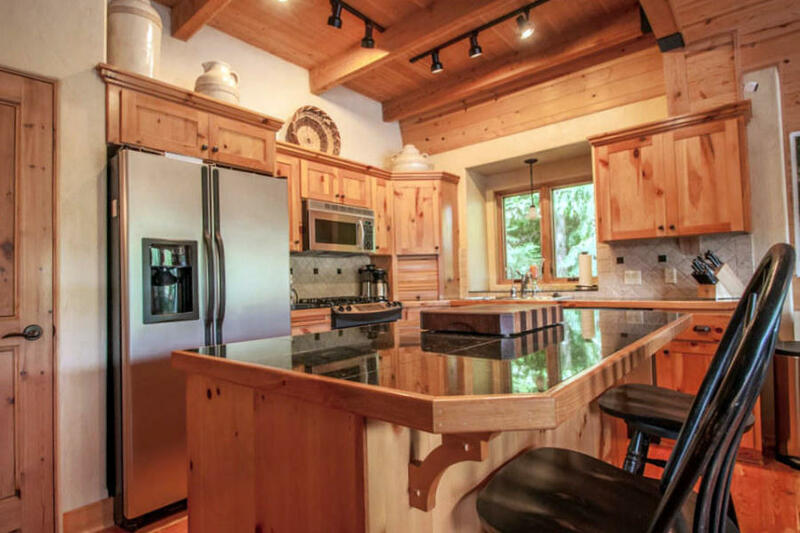 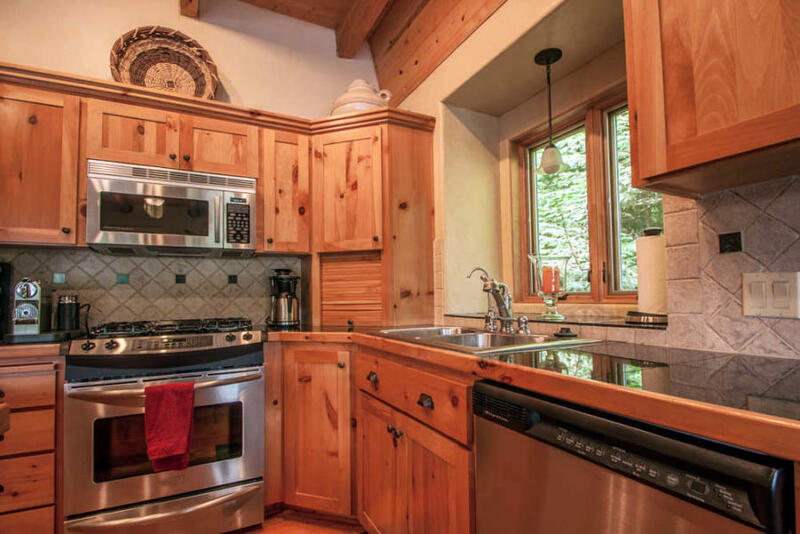 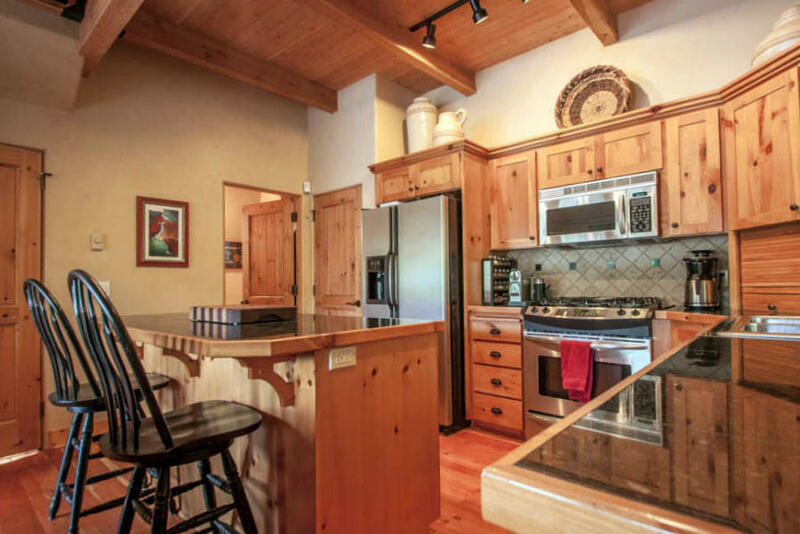 Open kitchen with knotty pine cabinets, granite countertops and stainless steel appliances. 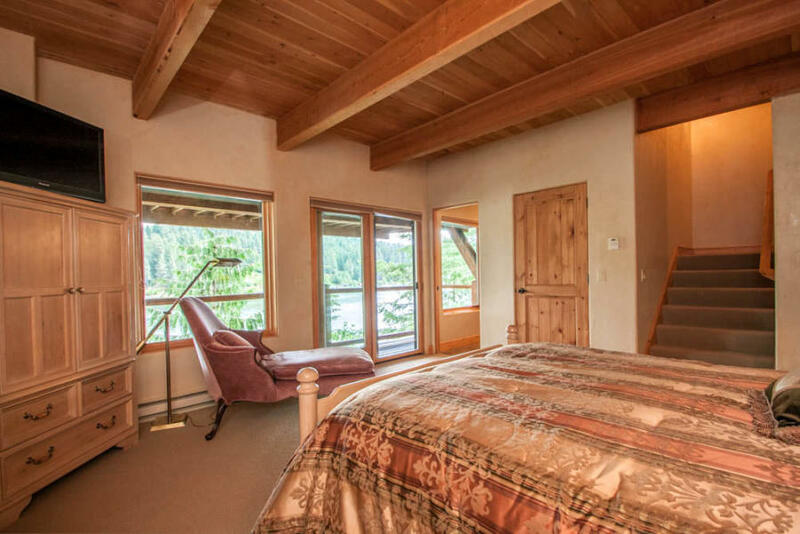 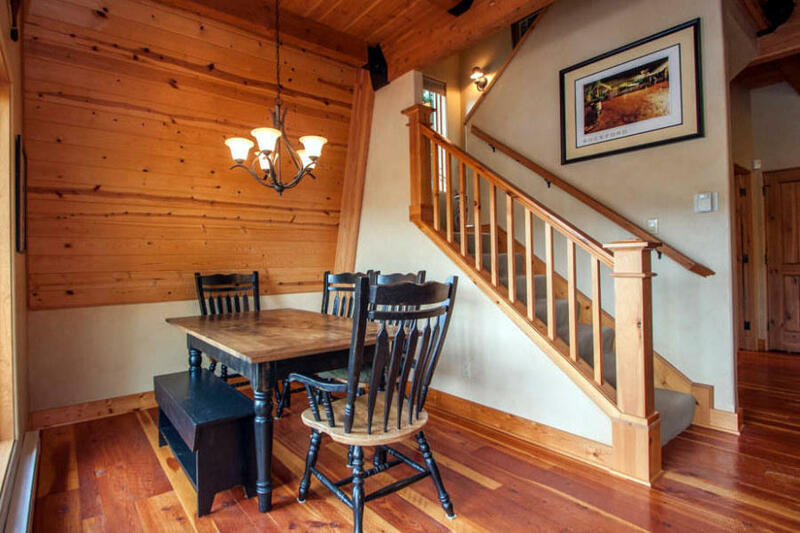 Rough-cut fir plank floors, tongue-and-groove fir ceilings and open beams. 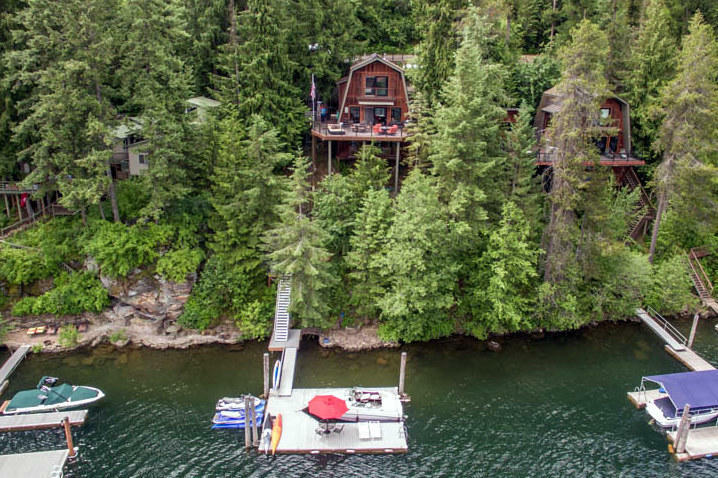 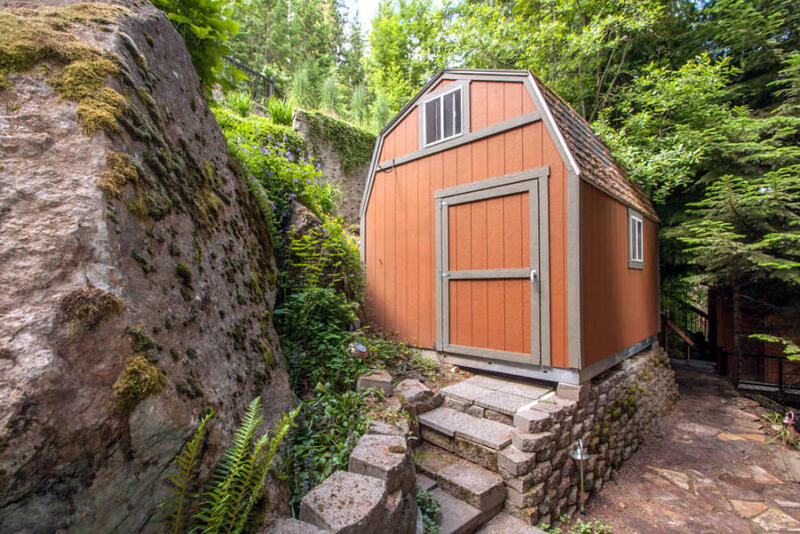 This home blends seamlessly into its surroundings. 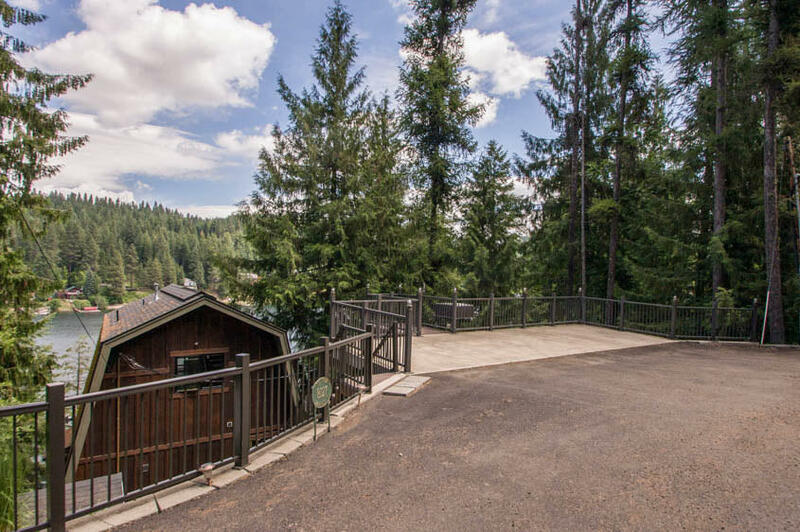 The lot boasts a variety of trees, including some mature cedars. 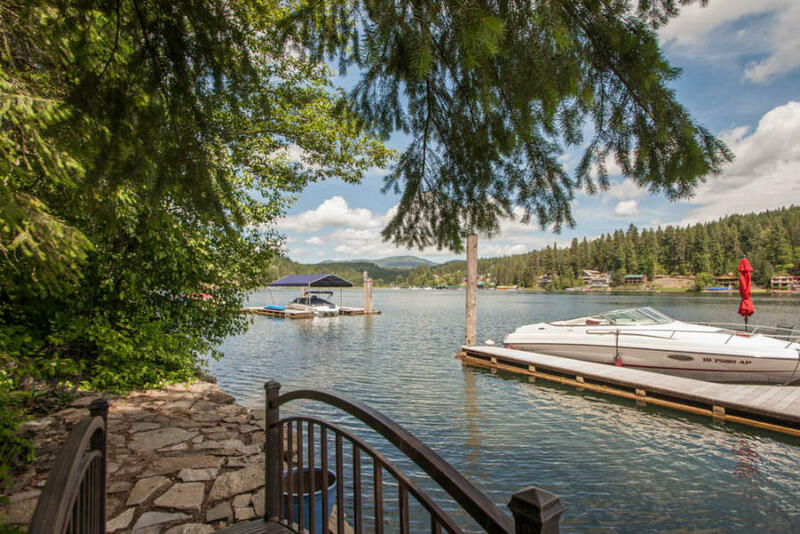 This is North Idaho at its finest… where better to drop anchor?